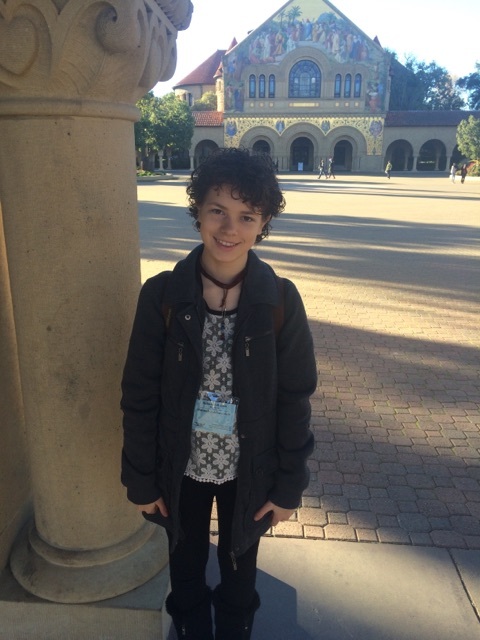 I haven’t written for three months, and I have few valid excuses– but included in those few are: NaNoWriMo, which spanned across all of Nov., and Stanford Splash. While the last only took two days, it still made a rather lasting impression on me. 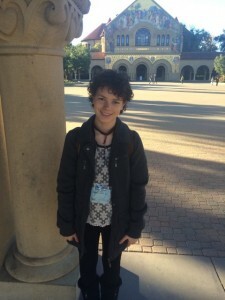 Yes, I’m still planning on doing some writing about NaNo, but for now I want to cover the more recent event: Stanford Splash! 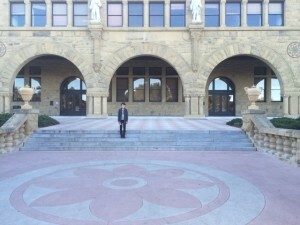 It all began when my dad and I set to arriving at Stanford campus– it’s huge! When we got onto the campus, we asked for directions to ‘The Oval,’ which was the closest place we thought we could drive to the Main Quad, where all the classes would be. Just the amount of time we spent finding the Sign-In was amazing, as well as the amount of times we got lost… We thought we would arrive about an hour early, but instead we got there just ten minutes before Sign-Ins opened. We finally found the Sign-In spot, and waited around until Sign-In’s began. Afterwards, we looked around for my building, which just so happened to be on the opposite corner of the building. 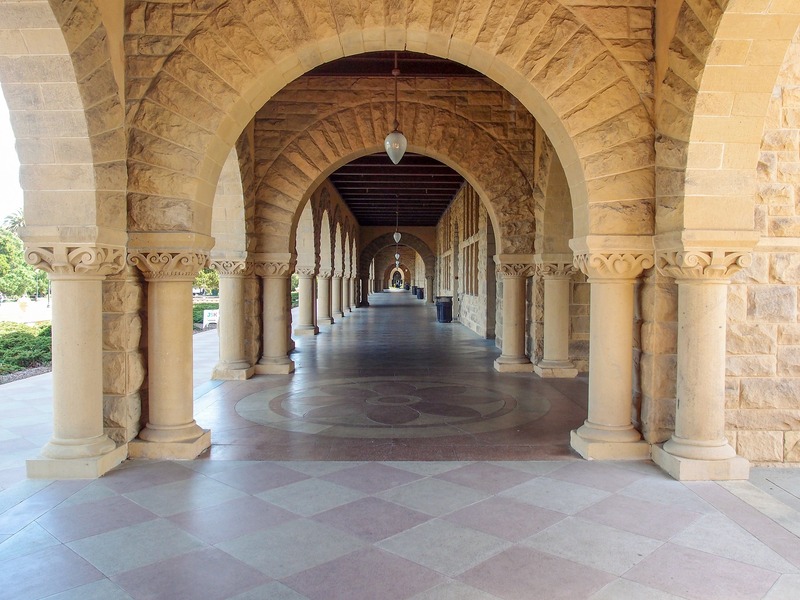 I can’t imagine getting to classes that aren’t just confined to the Main Quad without a bike, if I were to attend Stanford– it took 10 minutes to travel between most classes, and the last five minutes were often spent trying to find the room. I managed to get to my first class successfully, and early! I was one of the first people there, at “The (Learnable) Art of Beautiful Connections.” It was all about social anxiety, and how to be able to hold a conversation in which you don’t feel like you’re out of place, and to attempt to stop yourself from beating up on yourself for ‘saying something wrong.’ It was useful, and definitely has helped me so far– especially in the classes following that one! My next class, (Learn Graphical Programming: Art on with Code), was in the next building, but up three flights of stairs. We used the Java Programming language, and created a bouncing 2-D ball on the screen– it was fun! Following that was Intro to Introversion– where I learned quite a bit on both the difference between shyness and Introversion – Introverts think over their words, which causes them to be slower and more deliberate in answering, for example. It was fun– and the introductions were done “The Introvert Way,” also known as putting down what town you’re from, your name, age, and grade, on a board using Post-It-Notes. Then came one of my favorite classes of the weekend– Self-Compassion: Reversing the Golden Rule. The whole idea was changing around “treat others how you would like to be treated,” turning it into “treat yourself the way you would treat others.” The way you would do that is pretend a friend is telling you about their mistake, story, or whatever it is you’ve gone through. You console them the way you would if it wasn’t you. People often hold themselves to higher standards than their friends. That was the end of day #1– and it was amazing. I had first imagined a place where I would be one of the youngest there– and I probably was, but not dramatically so. I hadn’t imagined the amazing environment, either, with welcoming people and kindness, history, and knowledge all around. I should have expected it, but I had no college campus memories, and therefore didn’t know quite what to expect. Well, let’s say that in the end, it far surpassed what I thought it would be, and I was definitely looking forwards to the next day as we rode to the hotel. The second day was completely exciting as well, with shorter sessions, yet more of them. It started out with The Practice of Everyday Happiness– which included Gratitude, Self-Compassion, and overall Happiness. It was fun, funny, and a good start to the day. Practical Neuroscience was fun– I learned that the size of a brain doesn’t dictate intelligence– (but that is a rumor that I suspected was false already), and that people in vegetative states sometimes could communicate using imaginations. That is, in the case that the people had the ability to hear and feel, but just not move. For example, if you imagine swinging a tennis racket, you exercise a certain part of your brain, and on certain machines, that place would light up– but you imagine walking around your room, and another part of your mind ‘lights up.’ Certainly interesting, and I enjoyed that dose of science in my day. The next class, “Justice – What’s the Right Thing to Do?” was in the same building by the same teacher– and equally, if not more, interesting. It was more of a participation class, where the students discussed moral quandaries. It definitely exercised my brain, and I left somewhat confused but also feeling slightly wiser. While we didn’t walk away with any definite answers on what to do in certain positions, we learned things about ourselves and the entire human race just by making choices between two actions, or simply answering Yes/No questions. My fourth class was “How to Grow a Mind,” which was both interesting and fun. While we didn’t have tissues and nerves in our hands, we learned how brains, well, learn! The instructors used a computer-generated graphic to show how the human brain learns what words mean, and how they correspond with images. They called the image a “dax,” (a placeholder name for a non-existent organism,) and had us name different qualities that a few images had in common. After, they showed many similar pictures and asked us, “Which one is a dax?” We had learned a new word and a new meaning for that word– by hearing, “this is a dax,” accompanied by the picture of one. We were also taught the formula for probability– a fun mix between science, psychology, and math. The very last class of Splash and day #2 was “Know your rights!” In which the teacher showed a documentary, adding her own comments along the way, on how to deal with police on the road, in homes, and on the streets. The class did not cast police in a bad light, but it did contain much interesting and potentially useful information– such as a go-over of rights, procedures, and such. 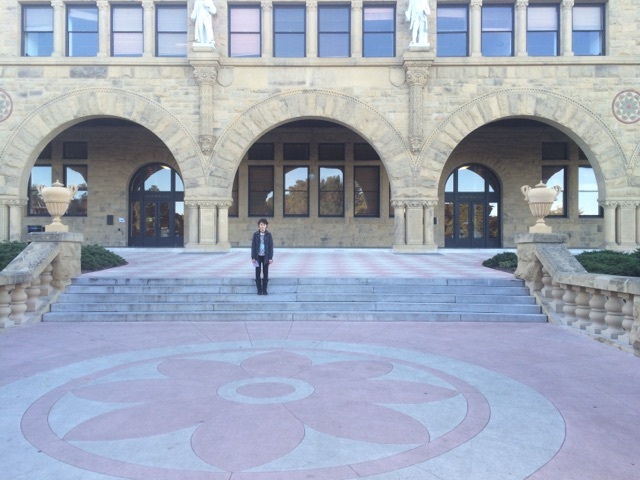 We explored the campus a little more– seeing if we could get into the library that had many floors, as my dad made “story” jokes, and visiting fountains and the like. The day finished with my dad and I driving home, eating a meal’s worth of bread rolls and bars as we listened to Hamilton: A Revolution audiobook. In all, the weekend was fun, worth it, and a complete success. If I were offered the chance to go again, there is no doubt that I would. Oh, and we can’t forget the peppermint hot chocolate that I drank on the way home!